Luzon ( i/luːˈzɒn/; Tagalog pronunciation: [luˈson]) is the largest and most populous island in the Philippines and the 15th largest in the world. Located in the northern region of the archipelago, it is the economic and political center of the nation, being home to the country's capital city, Manila, as well as Quezon City, the country's most populous. With a population of 52.99 million as of 2015, it is the fourth most populous island in the world (after Java, Honshu, and Great Britain), containing about 53% of the country's total population. Luzon was once split among Hindu-Buddhist kingdoms, Muslim principalities, and ethnoreligious tribes, who had trading connections with Borneo, Malaya, Java, Indochina, India, Okinawa, Korea, Japan and China before the Spanish established their rule. From just before the first millennium, the Tagalog and Kapampangan peoples of south and central Luzon had established several Indianized kingdoms, notably among them those of Tundok and Namayan. The Laguna Copperplate Inscription, the first Philippine document written in 900AD, names places in and around Manila Bay as well as Medan in Indonesia. These kingdoms were based on leases between village rulers (Datu) and landlords (Lakan) or Rajahs, to whom tributes and taxes were levied. These kingdoms were coastal thalassocracies based on trade with neighboring Asian political entities at that time. 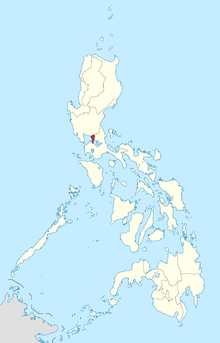 Some parts of Luzon were Islamized when the Sultanate of Brunei expanded its realms from Borneo to the Philippines and set up the Kingdom of Maynila as its puppet-state. In addition, other kingdoms like the Huangdom of Ma-i and the Huangdom of Pangasinan had become tributary states to China and were largely Sinified kingdoms. According to sources at the time, the trade in large native Ruson-tsukuri (literally Luzon made in Japanese:呂宋製 or 呂宋つくり) clay jars used for storing green tea and rice wine with Japan flourished in the 12th century, and local Tagalog, Kapampangan and Pangasinense potters had marked each jar with Baybayin letters denoting the particular urn used and the kiln the jars were manufactured in. Certain kilns were renowned over others and prices depended on the reputation of the kiln. Of this flourishing trade, the Burnay jars of Ilocos are the only large clay jar manufactured in Luzon today with origins from this time. 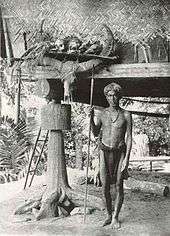 In the 1500s, people from Luzon were called Lucoes and were actively employed in trading, seafaring and military campaigns across Southeast Asia. The Portuguese were the first European explorers who recorded it in their charts as Luçonia or Luçon and inhabitants were called Luçoes. 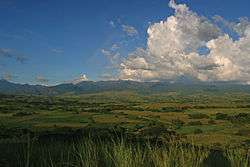 Edmund Roberts, who visited Luzon in the early 19th century, wrote that Luzon was "discovered" in 1521. Many people from Luzon had active-employment in Portuguese Malacca. Lucoes such as the Luzon spice trader Regimo de Raja, based in Malacca, was highly influential and the Portuguese appointed him as Temenggong (Sea Lord) or a governor and police-chief general responsible for overseeing of maritime trade, at Malacca. His father and wife carried on his maritime trading business after his death. Another important Malacca trader was Curia de Raja who also hailed from Luzon. The "surname" of "de Raja" or "diraja" could indicate that Regimo and Curia, and their families, were of noble or royal descent as the term is an abbreviation of Sanskrit adiraja. The Spanish arrival in the 16th century saw the incorporation of the Lucoes people and the breaking up of their kingdoms and the establishment of the Las Islas Filipinas with its capital Cebu, which was moved to Manila following the defeat of the local Rajah Sulayman in 1570. Under Spain, Luzon also came to be known as the Nueva Castilla or the New Castile. For more details on this topic, see Geography of the Philippines § Luzon. The island is covered by 7 administrative regions, 30 provinces and, as of 2014, 68 cities (8 regions, 38 provinces and 71 cities if associated islands are included). 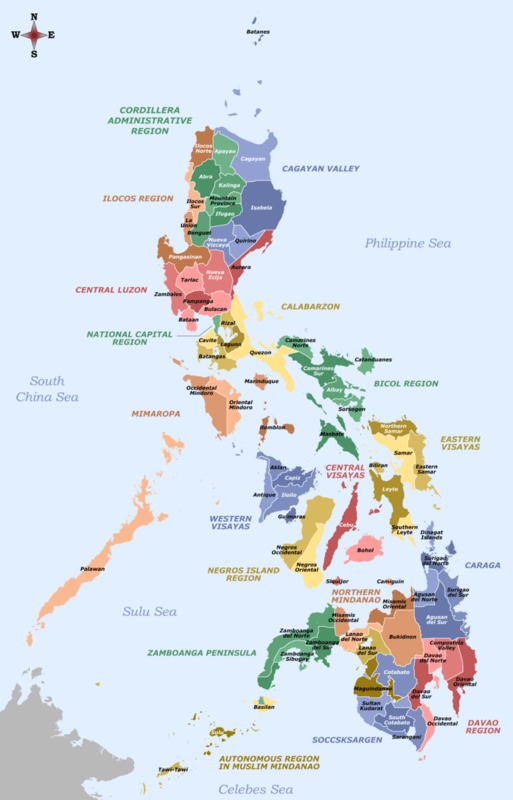 1 2 The list includes the associated islands of Luzon (provinces of Marinduque, Occidental Mindoro, Oriental Mindoro, Palawan, Romblon, Batanes, Catanduanes and Masbate). 1 2 3 An independent component city, not under the jurisdiction of any provincial government. As of the 2010 census, the population of Luzon Island is 48,520,774 people, making it the 4th most populated island in the world. Six major Philippine ethnolinguistic groups predominate Luzon. 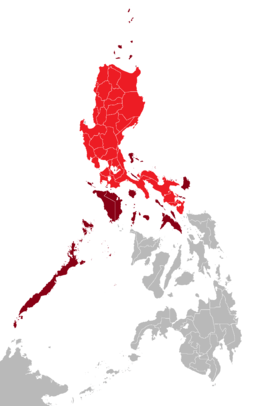 Ilocanos dominate northern Luzon, while Kapampangans and Pangasinenses, as well as Tagalogs and Sambals, populate Central Luzon. Tagalogs dominate the National Capital Region, CALABARZON and the island provinces of Marinduque and Mindoro, while Bicolanos populate the southern Bicol peninsula. 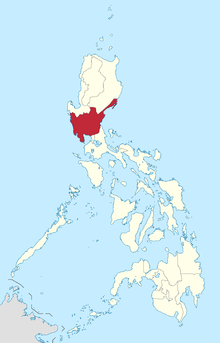 Visayans mainly predominate in the island provinces of Masbate, Palawan and Romblon. Due to recent migrations populations of Hindus, Moros and Chinese have also been present in urban areas. Populations of Spanish, Americans, Japanese, Koreans, Indians, Arabs and Filipino mestizos are also visible. Most Americans have settled in the highly urbanized cities of Angeles and Olongapo due to the former presence of the U.S. air and naval bases in Central Luzon. Almost all of the languages of Luzon belong to the Borneo–Philippines group of the Malayo-Polynesian language branch of the Austronesian language family. 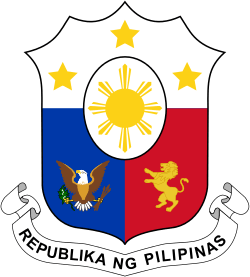 Major regional languages include: Tagalog, Ilocano, Bicolano, Kapampangan and Pangasinense. Like most of the Philippines, the major religion in Luzon is Christianity, with Roman Catholicism being the major denomination. Other major sects includes Jehovah's Witnesses, Protestantism, the Philippine Independent Church, and the Iglesia ni Cristo. Indigenous traditions and rituals, though rare, are also present. 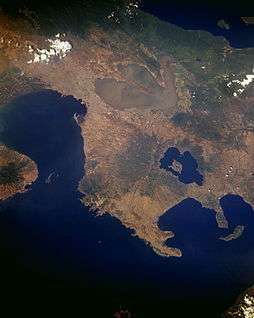 1 2 "Islands by Land Area". Island Directory Tables. United Nations Environment Programme. Retrieved 4 March 2013. 1 2 3 4 5 "Population and Annual Growth Rates for The Philippines and Its Regions, Provinces, and Highly Urbanized Cities; Based on 1990, 2000, and 2010 Censuses" (PDF). 2010 Census and Housing Population. National Statistics Office. Retrieved 13 February 2013. ↑ Laguna Copperplate Inscription – Article in English. Mts.net (2006-07-14). Retrieved on 2010-12-19. ↑ Frans Welman (1 August 2013). Borneo Trilogy Brunei: Vol 1. Booksmango. pp. 8–. ISBN 978-616-222-235-1. ↑ William Henry Scott (1983). "The fact that Chief Kamayin's name is transliterated by the Chinese characters for "excellent," "horse," and' "silver" led Berthold Laufer in his 1907 "The relations of the Chinese to the Philippines" to list horses and silver among the Pangasinan gifts (Historical Bulletin 1967 reprint, Vol. 11, p. 10); this error was carelessly copied by Wu Ching-hong in his 1962 "The rise and decline of Chuanchou's international trade" (Proceedings of the Second Conference of the International Association of Historians of Asia, p. 477), whence it passed into more than one Philippine text, but was not repeated by Wu himself in his later works.Laufer also refers to a Philippine embassy led by a "high official called Ko-ch'a-lao" whom no other scholar has been able to locate and whom Beyer identifies as a "Chinese governor appointed for the island of Luzon" (op. cit., loc. cit.)." (PDF). Guttenburg Free Online E-books. 1: 8. ↑ South East Asia Pottery – Philippines. Seapots.com. Retrieved on 2010-12-19. Archived October 19, 2014, at the Wayback Machine. ↑ Ho 2009, p. 33. ↑ "In Our Image". google.com. Retrieved 24 August 2015. ↑ Yust 1949, p. 75. ↑ Yust 1954, p. 75. ↑ "Philippine Almanac & Handbook of Facts" 1977, p. 59. ↑ Pires, Tomé, A suma oriental de Tomé Pires e o livro de Francisco Rodriguez: Leitura e notas de Armando Cortesão [1512–1515], translated and edited by Armando Cortesao, Cambridge: Hakluyt Society, 1944. ↑ Pigafetta, Antonio (1969) . "First voyage round the world". Translated by J.A. Robertson. Manila: Filipiniana Book Guild. ↑ Pigafetta 1524, p. 195. ↑ Pires, Tomé (1944). Armando Cortesao (translator), ed. A suma oriental de Tomé Pires e o livro de Francisco Rodriguez: Leitura e notas de Armando Cortesão [1512 - 1515] (in Portuguese). Cambridge: Hakluyt Society. ↑ Reid, Anthony (1995). "Continuity and Change in the Austronesian Transition to Islam and Christianity". In Peter Bellwood; James J. Fox; Darrell Tryon. The Austronesians: Historical and comparative perspectives. Canberra: Department of Anthropology, The Australian National University. 1 2 "The Philippines". Retrieved 6 December 2008. ↑ Smith, Robert Ross (1993). Triumph in the Philippines (Transcribed and formatted by Jerry Holden for the HyperWar Foundation). Honolulu, HI: University Press of the Pacific. p. 450. ISBN 1410224953. Retrieved 25 December 2014. ↑ "PSGC Interactive; List of Provinces". Philippine Statistics Authority. Retrieved 3 April 2016. ↑ "PSGC Interactive; List of Cities". Philippine Statistics Authority. Retrieved 7 April 2016. ↑ PHILIPPINES: ADDITIONAL THREE PERSONS PER MINUTE, National Statistics Office. Last revised: July 18, 2003. Retrieved November 27, 2006. ↑ Index of Agriculture and Fishery Statistics. Census.gov.ph. Retrieved on 2010-12-19. Archived February 21, 2012, at the Wayback Machine. Antonio, Eleanor D.; Dallo, Evangeline M.; Imperial, Consuelo M.; Samson, Maria Carmelita B.; Soriano, Celia D. (2007). Turning Points I' 2007 Ed. (unabridged ed.). Rex Bookstore, Inc. ISBN 9712345386. Retrieved 24 April 2014. Yust, Walter, ed. (1949). Encyclopaedia britannica: a new survey of universal knowledge, Volume 9. Encyclopaedia Britannica. Retrieved 24 April 2014.